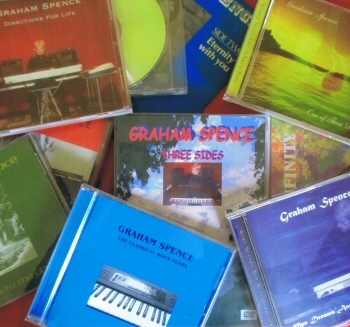 Graham Spence is an English composer and a naturally gifted player of the instruments he uses, with just a short time spent working on the rudiments and orchestration via The Royal School of Music. Born May 31, North Yorkshire dales, England, he worked with many musicians and bands in various parts of the country; the most memorable was at Sale, Greater Manchester, in 1976. 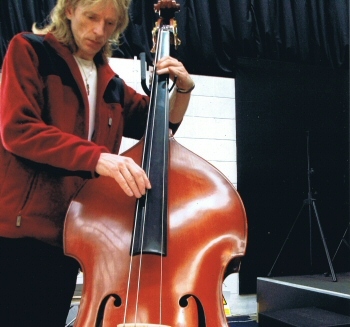 It was from there that he also played sessions with Mel Prichard of Barclay James Harvest, before returning home to start working on what was to be his only serious attempt at the commercial market with the writing and recording of a pop single. It stood a realistic chance having being solicited through radio and television presenter Bob Harris, via Paul Garett, who had links to EMI Records. EMI, at the time, owned Harvest records and it was the sub-label ‘Harvest Heritage’ who offered a one-off single. The song World Weary, which Graham had already recorded to vinyl was re-mastered and released in 1977. It was unique in that it featured his very high vocal range, mellotron, Moog synthesizer, and his early days of acoustic guitar, drums and bass playing. Although the record charted it never reached a rewarding position and within a few weeks the song peaked then disappeared. He finished the late seventies with collaborations before writing most of his songs collection in the late seventies and eighties. 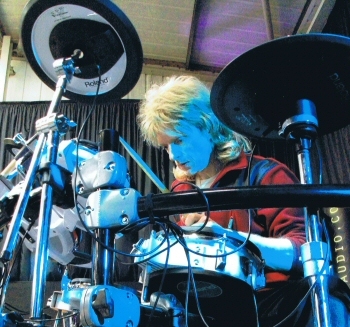 He recorded his first album Induced Sleep in 1984 and, after endless auditions, formed the impressive but short-lived, Graham Spence Rock Ensemble. The band petered out by October 1986 following a road accident which took the life of bassist, Barry McDougal, while travelling to a gig. 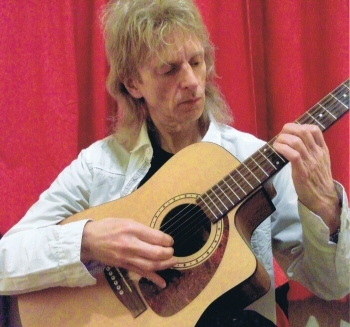 Disillusioned with the longevity associated with bands, he decided to work completely solo and resurfaced in 1987 with a huge repertoire of songs and became increasingly active as a singer-songwriter using acoustic guitar, harmonica and bass pedals. 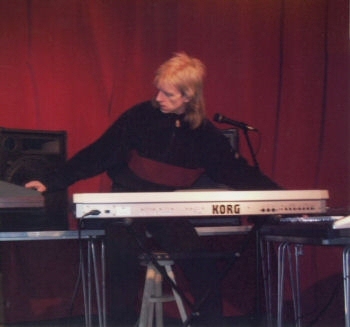 In 1991 his music began to be published, but out of almost sixty songs only a handful were ever recorded officially, mainly due to his transition into instrumental music. With this came the atmospheric, ambient and thought-provoking music and sounds for which he is now best known, creating images far from the mundane trappings of the modern world. 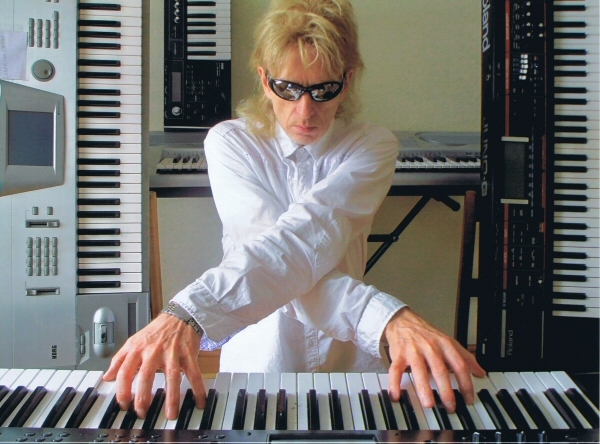 Embracing high-tech synthesizers, and to some extent, simple acoustic instruments, there are areas of ambient, soundscape, classical, progressive rock and sometimes fascinating hypnotic rhythms, aided by his sequencing, looping and programing skills. Outside of a fine albums’ collection he has composed for short low-budget drama and documentary productions, played some intriguing venues: theatres, abbeys, churches, and studios. Early in the new century he was the recipient of Contemporary Improvisations Music Awards for keyboard synthesizer and hand percussion, a guest for a Sky arts channel programme, and over the years he has compiled an intriguing ‘film format’ photographic art collection mixed with a handful of artwork using various materials.